Whether you are a bank or a technology company, ETran can provide a recurring revenue stream and help you strengthen your customer relationships. The ETran integrated receivables hub is one of only a few in the industry that can accept all payment types including recurring, web and mobile transactions on a single platform. Its modular structure allows clients to customize per their individual needs and not try to fit their organization into a box of limitations. ETran incorporates lockbox files onto the same platform, while consolidating your reporting and reconciliation. Whether you need one-to-many or many-to-many relationships in your scanning, ETran fits the bill. You can easily scan multiple coupons within the same batch and keep the coupons and checks in proper order and relationship to one another. 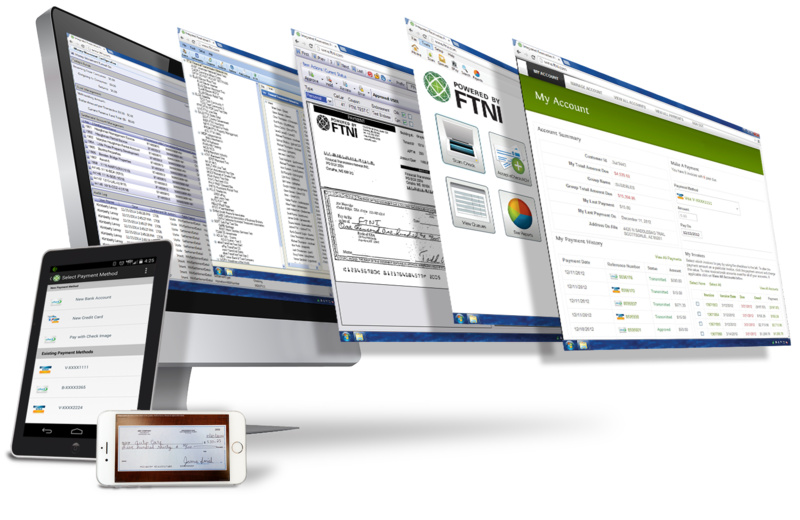 ETran offers customizable queues so you can make virtually unlimited workflows based on your specific business rules. All of this is packaged into an easy to deploy and support solution that is configurable down to the individual user level. Depending on your specific needs, batch or real-time processing is offered. ETran has the ability to work with current out-of-the-box back offices systems AND custom back-office systems, allowing for workflow automation based on your required business rules. Rest assured, FTNI’s data center is secure using sophisticated encryption and redundant cloud servers. We meet compliance requirements for PCI, SAS70 and HIPAA. Add to that regular penetration testing and annual audits performed by a Qualified Security Assessor help us ensure the security and protection of your customer and payment data.